Water squeezing between the hull bottom and the seafloor creates an area of low pressure, and the vessel squats. Flatter-bottom boats will squat more than those with a lot of deadrise. In my last column, I examined bank effect. To review, a vessel navigating in close proximity to an embankment, bulkhead or similar fixed boundary can produce asymmetrical pressures in the water flowing past the hull. This can cause the vessel to abruptly sheer away from the bank without warning. Squat is a related pressure phenomenon. Also known as “smelling the bottom,” squat causes a vessel to ride lower in the water than normal. If the water is shallow enough, squat can have serious navigational implications for vessels of all sizes. As with bank effect, Bernoulli’s principle is the hydrodynamic explanation for squat. When water squeezes between the bottom of the boat and the seafloor, an area of low pressure develops, and the vessel sinks, or squats, into it. Yes, the same boat actually rides deeper in the water. 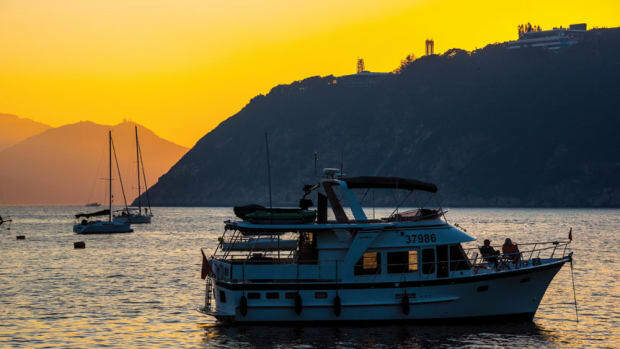 Technically speaking, the vessel does not increase its draft — the waterline stays the same. Rather, the water immediately surrounding the vessel assumes a lower level. This is readily observable at times. The result: A squatting vessel may touch bottom where it otherwise would not. Squat is a shallow-water occurrence, but what constitutes shallow water? The answer usually depends on a vessel’s draft relative to the water’s depth. 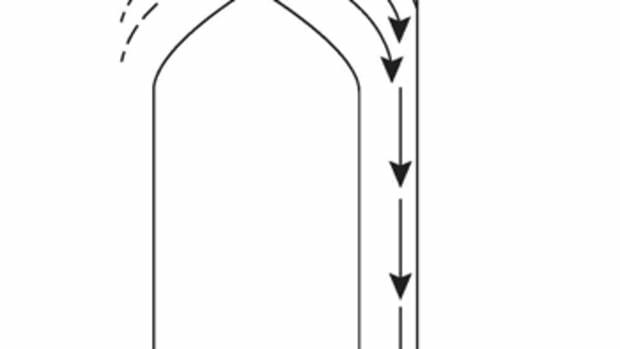 For a tanker drawing 60 feet, 70 feet may be shallow water. For a cruising yacht drawing 6 feet, 8 feet might be shallow water. Sea state is also a factor in assessing shallowness. If a wave lifts you onto a 4-foot crest and drops you into a 4-foot trough, the charted depths are a whole new ballgame. Whatever the circumstances, one can be forgiven for assuming that squat’s effect is too small to make a navigational difference. It sometimes can. A notorious case of squat involved the Queen Elizabeth 2. 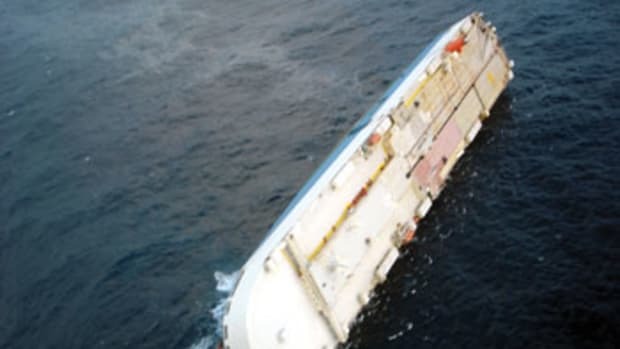 On Aug. 7, 1992, the cruise ship was steaming along at 25 knots south of Cuttyhunk Island, Massachusetts, when she struck bottom, raking 400 feet of hull over a rock and causing a breach. At the time, her draft was 32 feet; the rock she struck was more than 34 feet deep. The crew were aware of squat and made an unscientific allowance for it, but a subsequent study concluded that at 25 knots the squat effect could have been as much as 8 feet. Admittedly, this was a big ship displacing a lot of water. And as always, there were other factors. Poor bridge team communication led to two mental models regarding the intended track. The vessel executed neither of them and wound up doing something in between, which is where the rock was. The fact that the rock did not appear on the chart didn’t help. Whether squat is significant depends on a number of factors that contribute to the intensity of the low-pressure zone under the hull. As with bank effect, these factors are interrelated, but first among equals is speed. On straight hydrodynamics, the faster the vessel moves, the greater the drop in pressure between the hull and the bottom. The propeller plays an additional role because it draws water from beneath the hull. The faster the propeller spins, the more rapidly water is removed from under the hull. Water flowing in to replace it may not keep pace, thereby allowing the vessel to sink a little deeper. In addition to speed, the ratio of water depth to draft is a factor. Basically, as under-keel clearance decreases, squat increases. The performance data in the chart at right, taken from a simulated vessel of about 100 feet overall, illustrate the combined effect of speed and under-keel clearance on squat. Hull shape is another factor. 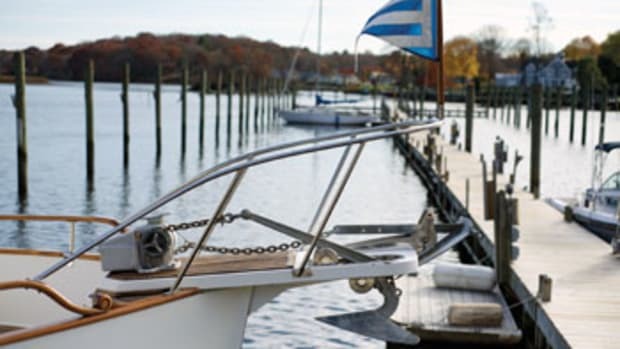 A finely contoured sailboat hull with lots of deadrise and a fin keel will displace less water and, therefore, squat less than a full-bilge, flatter-bottom boat of the same length, draft and beam. Because squat is most pronounced at the stern, trim (the fore and aft difference in draft) plays a role in whether a vessel strikes bottom. A vessel that is normally on an even keel will tend to trim deeper at the stern when squatting. A vessel that is already deeper aft, as many are, will tend to trim by the stern even more. There are external considerations, too. 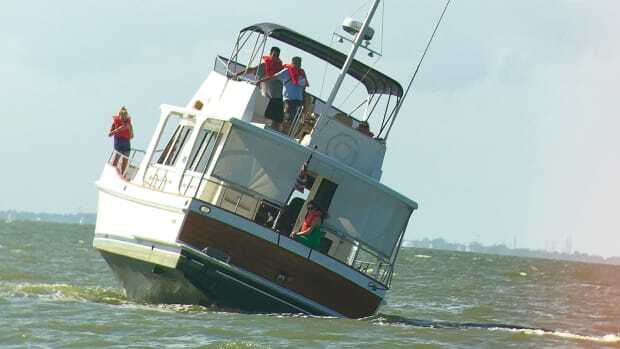 Because tide affects the under-keel clearance, it can play a role in whether a vessel squats enough to touch bottom. At high tide, there may be no squat effect, whereas hours later the effect may be evident. And remember, the seafloor can be highly irregular. 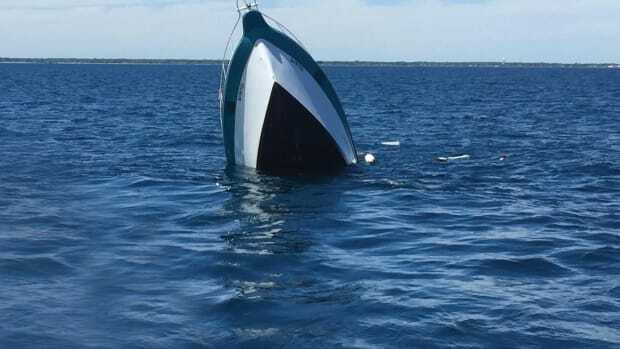 As with the Queen Elizabeth 2, a vessel may operate in an area where there is generally adequate depth, but because of squat, the vessel strikes an isolated obstruction that would otherwise have passed safely beneath. In addition to reducing under-keel clearance, squat impairs maneuverability. 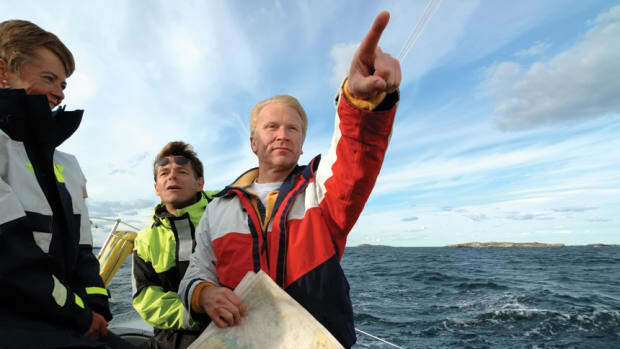 People who have experienced it describe the rudder as feeling sluggish and the vessel being unresponsive. Data from the same vessel referenced in the chart show that in deep water, the boat has a turning circle of 512 feet in diameter. Yet with a 3-foot under-keel clearance, that turning circle is 612 feet, an increase of about 20 percent. Most of us refrain from doing donuts at high speeds in shallow water, but the data suggest that a turn accomplished at high tide with room to spare may require more sea room at low tide. That’s worth knowing. As with bank effect, a boater can operate oblivious to squat for years, with no ill effect. Then one day the propeller and rudder are torn off in familiar waters, and someone posits a query along the lines of, What the heck was that? Maybe that was squat. And it’s worth appreciating that if a vessel moves slowly enough, squat can be avoided. The next time someone tells you that you don’t know squat, you may beg to differ, but for a whole new reason.